The Chamber is a private, not for profit, membership organisation with a board made up of five people who determine the strategy and regularly review activity and progress. 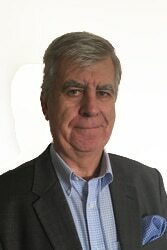 Jim has a wide range of experience across several industrial sectors in large and medium sized organisations both here in Herefordshire and Worcestershire and abroad. He thought that by joining the Board of the Chamber he could bring his experience to good use. His particular passion is for our manufacturing businesses to get the recognition they deserve and help when needed. He says: “As a country we do not credit ourselves with being the 6/7th largest manufacturing country in the world. It is our best kept secret, that needs to change! Let’s get to the positives rather than the negatives to drive UKplc forward”. Sharon has been Chief Executive of Herefordshire & Worcestershire Chamber of Commerce since 1 April 2017. 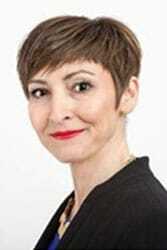 Previously, she worked at the Chamber for 10 years and was appointed Deputy Chief Executive in 2014. Before this, Sharon spent 13 years working for Business Link in Herefordshire and seven years working for a Manufacturing company in Hereford. She also achieved an MBA from the University of Worcester in 2009. Sharon is passionate about supporting local businesses and looks forward to building on the success of the Chamber and strengthening its partnership with businesses in Herefordshire and Worcestershire. 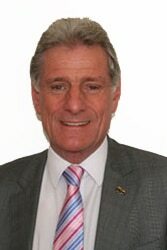 The majority of Mike’s career has been in the food industry, running manufacturing businesses and heading up sales and commercial activities in export markets. Orchard Valley Foods develop and sell innovative ingredients to all sectors of the food manufacturing industry, foodservice and retail and have sales to over 30 countries. The company is a previous winner of the Chambers Business of the Year and in 2016 received the Queens Awards for International Trade. He hopes through his appointment as President he can play an important role in developing Chamber membership and membership retention. Mike holds an MA in Marketing, is a keen rugby union supporter and a Princes Trust mentor. 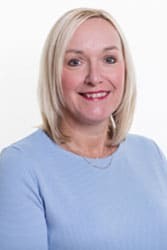 Alison set up Peritia Group Ltd after having many years’ experience working across all sectors in the commercial world, particularly dealing with recruitment, headhunting and psychometrics. Her passion is about helping business owners to understand their employees on a deeper level – this helps to attract the right person fit, improve retention and create high performing teams. Many of her clients have come through building trusted relationships at the Hereford and Worcester Chamber of Commerce networking events. She says “To be on the Board of Directors is a privilege, it enables me to show the business community how to get real value out of their membership by utilising all the great work that the Chamber has to offer”. After graduating with a degree in Economics from the University of Cambridge, Ben started his recruitment career with a national agency in Birmingham before joining Hewett Recruitment in 2009. Becoming a Director in 2013, Ben’s role sees him work closely with client’s CEOs / MDs, HR Teams and Hiring Managers, designing bespoke recruitment solutions and SLAs to ensure compliance with legislation and delivery of KPIs. 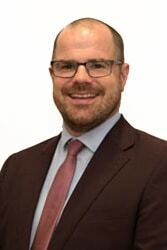 Outside of his role with Hewett Recruitment, Ben is also Chair of the Worcestershire LEP’s Connecting Schools & Business Board, as well as sitting on the main Employment & Skills Board, the Herefordshire & Worcestershire Prince’s Trust Committee, the ReWyre Board and is also a Worcestershire Ambassador.